VietNamNet Bridge - Bitcoin holders are feeling anxious as the price of the cryptocurrency has dropped dramatically. “Cryptocurrency is not a game for people with weak hearts,” said Tuan, a bitcoin investor in HCMC. Four years ago, one bitcoin was priced at several hundred dollars. But it unexpectedly escalated later, reaching $20,000 per bitcoin (VND400 million) by the end of 2017. “I made a lot of deals in 2017, when the price was at VND200 million per bitcoin, and I earned VND400 million just within a short time,” he said. The price fell from a peak of VND400 million to VND200 million. On February 10, 2018, one bitcoin traded at VND184 million ($8,200). 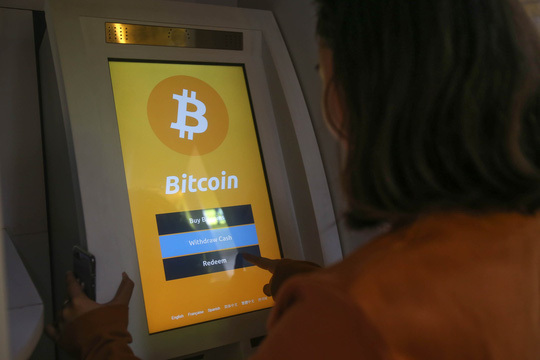 Bitcoin holders are feeling anxious as the price of the cryptocurrency has dropped dramatically. Prior to that, on January 16, Bitconnect collapsed after warnings from Texas and North Carolina authorities. It was estimated that there were more than 50,000 Bitconnect members in Vietnam. The bitcoin price went up slightly on February 11 to VND205 million. However, this was not good news for bitcoin holders. The owners of cryptocurrency trading floors refuse to buy bitcoins as they cannot sell now. However, many investors are rushing headlong into other cryptocurrencies created by Vietnamese businesses such as BNC and TTC. The BNC price increased by twofold compared with the launch day, from $2.3 to $5.1. The creators of BNC and TTC set up tens of shops and household-use appliance sale points at which 30 percent of the value of goods was paid in BNC or TTC, though the cryptocurrencies are not recognized by Vietnamese law. Lawyer Bui Quang Tin from the HCMC Bar Association said that 99 percent of ICO activities are fraudulent. In principle, ICO must be recognized by the IT world and have real value through apps that help businesses in payment and governance. In addition, the cryptocurrency must create apps for the future. The Ministry of Justice (MOJ) plans to report to the Prime Minister the current operations of cryptocurrencies in August. After that, it will compile legal documents on cryptocurrencies and electronic currencies for the government’s consideration. Nguyen Hong Hai from MOJ said cryptocurrency trading is an anonymous transaction that can be easily exploited by criminals. Cryptocurrency traders are not protected as the currency is not recognized by law.